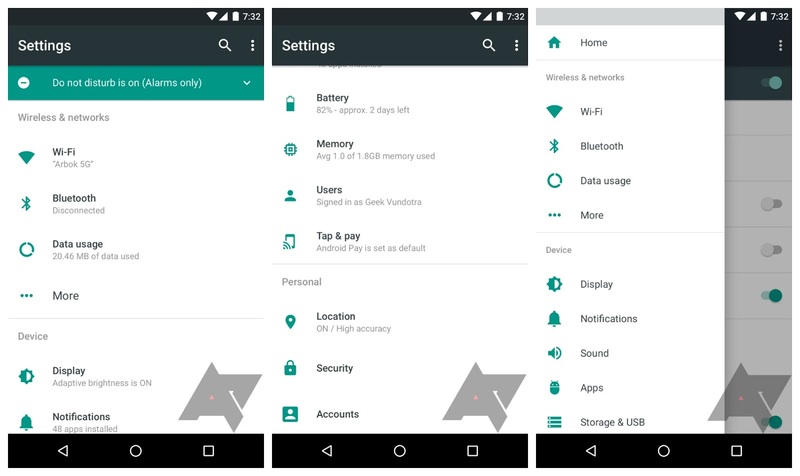 Last week, Google inadvertently gave us a sneak peek at one of the UI changes they could have planned for Android N. The leak didn’t reveal too much, just a new Settings UI with an icon for a new slide-out hamburger menu. 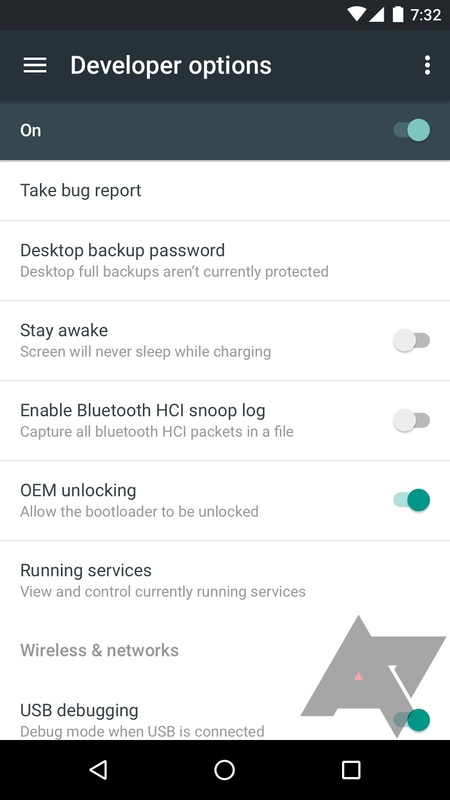 Today, new mockups created by the folks at Android Police are giving us a better idea of what Google is planning for the Settings app, including what’s inside that hamburger menu. First off, the top level of the Settings app looks mostly familiar with what we see now, only a new bar appears at the top alerting the user that “Do not disturb” mode is enabled, with a drop down to select other options. Lines separating the different settings have disappeared, now replacing the card UI for each section. 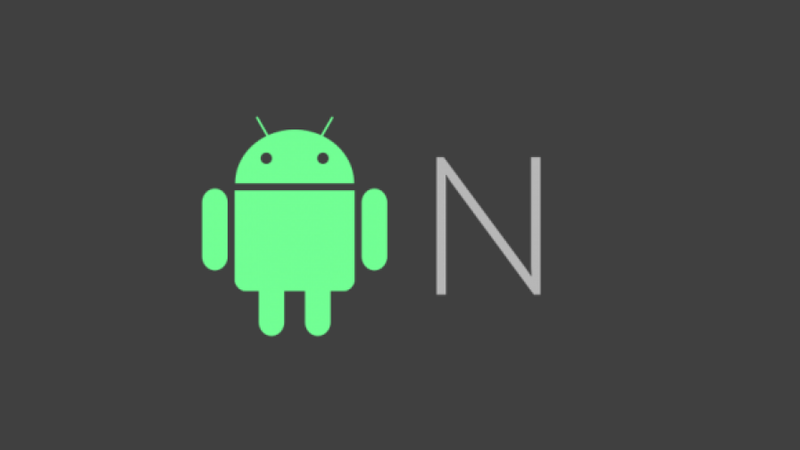 It’s similar to what we saw leaked in Android N’s new notification shade from a few days ago. Each setting will now show additional information without having to jump inside of it, things like whether or not adaptive-brightness is enabled or battery percentage and data usage. It’s only when you dive into a setting that the hamburger menu appears, sliding out to reveal top level items for quick access. It makes sense that Google would want all their apps to conform to their UI guidelines, While having a hamburger menu inside the Settings app still seems weird to us, it does make sense that Google would want all their apps to conform to the same UI guidelines — even the settings app. Still, we don’t see it saving much time or offering any sort of extra convenience, but Google really does love that hamburger menu.